A wonderful start to the series! I haven’t listened to many urban fantasy novels but this is such an amazing book. The first person POV is one of my favorite writing styles. Nazri Noor’s writing style and Luke Daniels narration are a perfect match! Dustin Graves is snarky, awkward, confused, lovable, and totally relatable in this tale of gods, magic, and mystery. 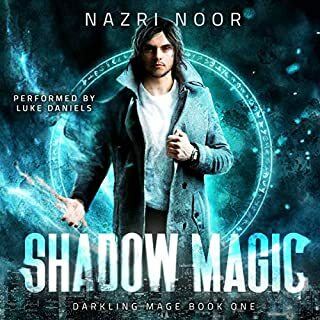 Nazri writes wonderful, believable characters and Luke Daniels brings them to life in a way only he can. Believable characters, humorous and serious story lines, along with a creative system of magic, mix well to create a “world behind our world” that is very well developed and addicting. Don’t pass on this great series. Spend the credit, sit back and enjoy. You will be glad you did! Only a fool crosses a god, but Ellaeva and Lyram will do anything to get what they want. 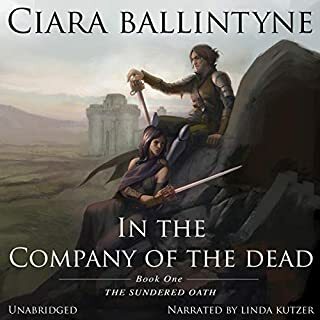 Chosen as a five-year-old orphan to be the Left Hand of Death, Ellaeva has nothing to call her own - nothing except a desire to avenge her murdered parents. Her duties leave her no time to pursue the man responsible, until both her work, and revenge lead to the same place - the lonely castle where Lyram Aharris is serving out his exile for striking his prince. Lyram is the son of a duke and third in line for the throne. I thought this was a pretty good book and I am a fan! Ciara Ballintyne creates some wonderful characters with intriguing personalities. The story lines and character arc’s, though just beginning, are well defined and on their way to a great series. 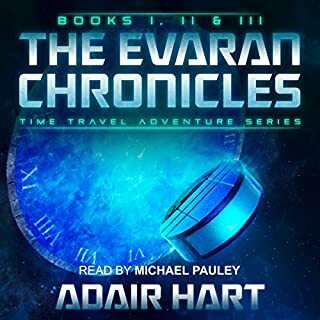 What I found most absorbing was Ellaeva and Lyram’s rocky, yet emotional transformations throughout the book. Although this book was set in a singular location, the world building has started to set up what will surely be a great series. Although the book is great, sometimes the narration is a bit hard to follow. With that said, don’t let the narration distract you from what is a truly good listen. Even though this book was given to me for free at my request and I provided this voluntary review and I anxiously await the next installment in this series. This is a great book. If you like technology and horror fan, this is the book for you. The stories are sinister, gritty, and will make you think twice about downloading and using that free App someone so casually recommends. 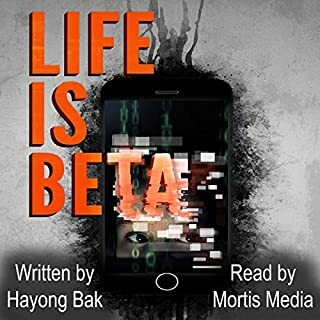 Ha-yong Bak creates a technological terror and Mortis Media breathes life into these twisted and well-crafted stories that could well be a vision yet to pass. Grab this book, settle in and prepare to be scared! 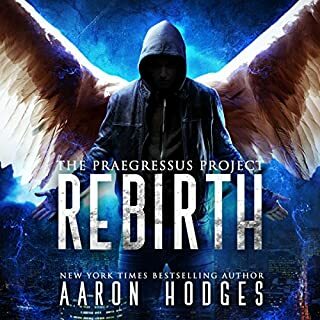 Aaron Hodges does it again! I am a big fan and he does not disappoint! 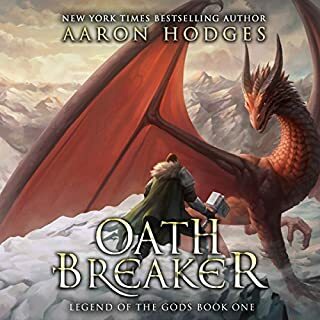 Oath Breaker is a very captivating novel. 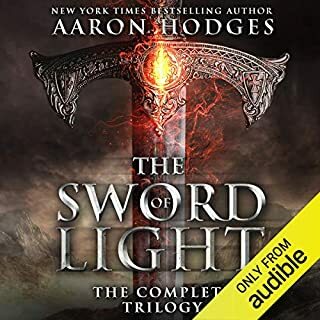 It picks up about a hundred years after the Sword of Light Trilogy but stands very well on its own. Well written, well developed, and great depth for both the characters and the world building. A few of the twists really caught me off guard and kept me wanting more. David Stifel once again delivers a great performance that keeps the listener engaged. He is the perfect narrator for Aarons work. Although this book was given to me for free at my request and I provided this voluntary review, I am anxiously awaiting the next books in the series. WOW! What a great listen! The story was unique and not just your average run of the mill vampire story. William Meikle created some amazing characters with good depth that make the story nothing less than captivating. I found myself listening at every opportunity. I love his writing style! The point of view changes frequently but does not make the story hard to follow. Without spoilers, the twist and turns caught me off guard and I really enjoyed the alternate bible passages as they gave the book a very unique depth others often lack. 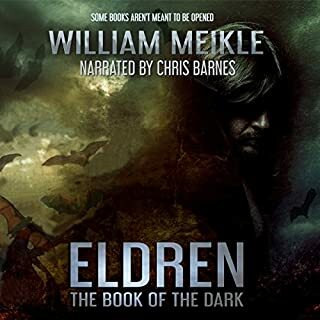 From the beginning, Chris Barnes's narration was absolutely amazing. I can’t imagine anyone else doing this book. Do what you have to do, but don’t let this book pass by. Even though this book was given to me for free at my request and I provided this voluntary review, my review is honest and from the heart! Don't pass this book up! As I said, don't pass this book up! I have read several of Aaron's books and they just keep getting better. This is no exception! Great writing and great characters with a depth you can feel. It grabbed my attention and did not let go. The how and why of genetic testing in this book is both refreshingingly new and yet very disturbing. Michael Stene does a great job at narration. Can't wait till the next installment. Even though this book was given to me for free at my request and I provided this voluntary review. I really liked this book. The writing was fantastic and it kept moving at a great pace. I spent so much time listening (even when I should have been doing something else) that I lost track of time. This is a great series from a great author. I liked it so much I have bought all the rest of the books and have started listening over again. 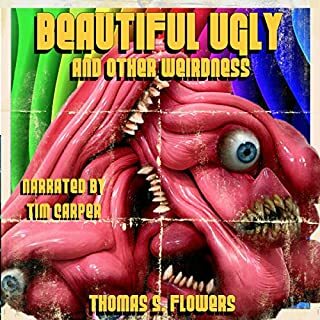 Eleven bizarre short stories from the mad mind of Thomas S. Flowers ranging from Cronenberg-styled body horror to John Carpenter-inspired dark science fiction. I enjoyed this book. I am a new listener of Thomas Flowers and liked what I heard so i will be exploring more of his works. Although I thought a few stories could have used a bit more background or explanation, the stories were enjoyable. I particularly liked The Ascension of Henry Porter. My only real critique was all of the background noise. At times there was enough background noise to make me think there was something wrong with my phone or PC when listening. I provided this review voluntarily even though this book was given to me for free at my request. Sword fights and romance, miracles and mystery, treachery and sly humor.... A god summons a curious assortment of witnesses to his temple to testify on what they know about a jewel that was lost 1,000 years ago. At least one of them is guilty. Others are lying.... Dave Duncan at his devious best. I must say I enjoyed this trilogy. To have all 3 rolled up together was a big bonus. Although I liked this trilogy, it started off a bit slow and took some time develop. Once it did, it moved at good pace. It kept me interested and looking forward to what happened next. The characters had good depth and the world building was accomplished without getting weighed down in over reaching detail. 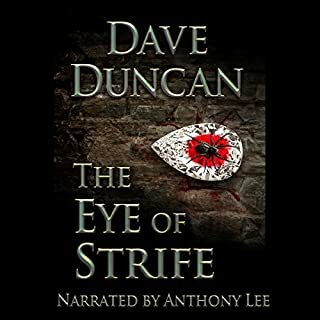 At first I thought the narration was going to make me turn it off but David Stifel got into a groove and delivered a solid performance. There were several twists throughout you could not see coming. My only negative aspect of the whole trilogy is there were more than a few situations where the characters were saved by divine intervention. Being saved by divine intervention is believable once but any more than that seems slightly unbelievable and excessive. I really like Aarons writing style and look forward to reading more from him. In conclusion, this series is a great listen. You won’t be disappointed. Even though this book was given to me for free at my request and I provided this voluntary review, my review is honest and from the heart!